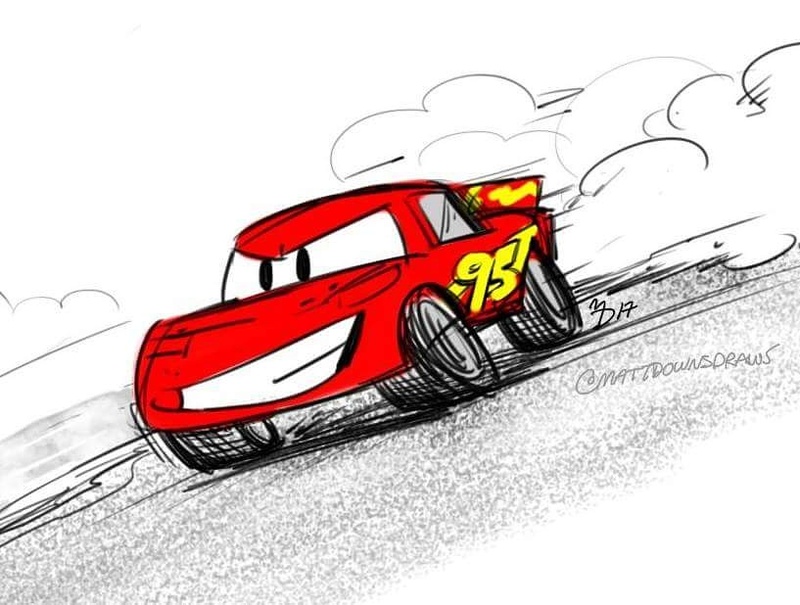 Cars 3 – Matt Downs Draws! My wife and I saw Cars 3 over the break, and we absolutely loved it. As someone who participated in individual competitive sports throughout high school and college, the theme of the movie really connected with me on a personal level. The moment I was replaced by someone faster and better, when my senior records were broken by freshmen, the realization when my physical best still wasn’t good enough, heck even when injury forced me to stop! Just as Monsters U demonstrated, no matter how hard you work and how positive you try to be, life still may not give you the fairytale ending you think you deserve, but you can still get a happy one. And as an added bonus, there’s a great role model for girls in it too.